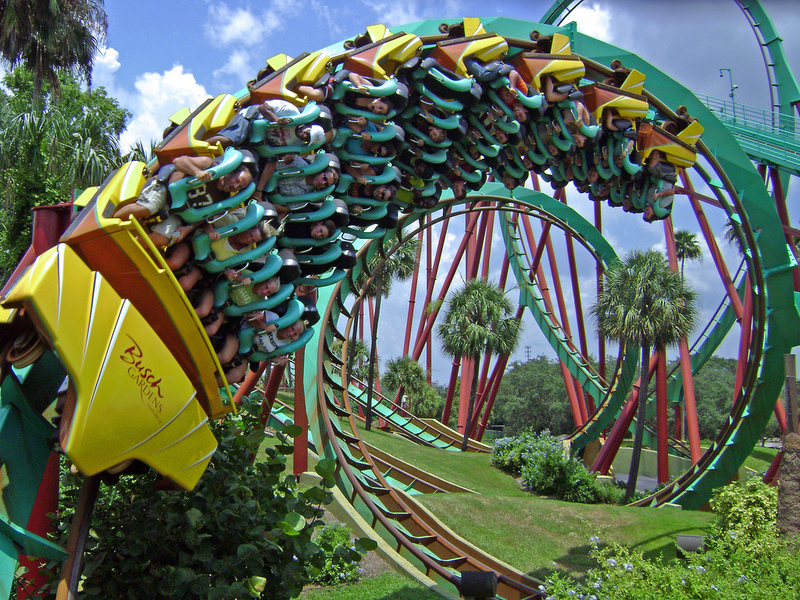 During spring break, many people are known to travel south to the Orlando theme parks located there. When they return it seems like they are healthier. Urological surgeon David Wartinger noticed this phenomenon in his patients. He says that, after they went and had fun at the theme parks, they returned home happier, healthier and… with fewer kidney stones. Yes, you read that right! The reason for this? Roller coasters! Let us explain. The Michigan State doctor has dealt with countless cases of kidney stones in his formidable career. At some point in life, these affect 1 in 10 people. Some of them are very small and can be eliminated without problems. But there are others that remain in the kidney and grow larger and larger. Those are vicious and they send thousands of people crying to the ER. They are also expensive to treat and extract. Around 3.8$ billion each year. The pain they cause when they pass has been compared to childbirth. So it is a serious matter. For some year, doctor Wartinger has noticed in some patients’ reports that they got rid of smaller stones during or after they went to those theme parks. So he asked himself why is this happening? It cannot be a coincidence. His mind lit when a gentleman visited him one day. After riding The Big Thunder Mountain Railroad at Disney’s Magic Kingdom, he eliminated a stone. This was the final piece of the puzzle he needed. He thought that if people managed to pass the stones while those were still relatively small, the trouble would be highly reduced. The pain too. Let’s not talk about the costs. So he gathered more reports of people who went to theme parks and ended up finding that the cause was this big roller coaster they all rode. He went further and found reports of people who passed stones while bungee jumping. There must be a connection, he thought. So he decided to take the matter in his own hands. Using a 3D printer, he created a silicone model of a patient’s kidney. He then filled it with three stones and water (to mimic the urine in the real kidney). And that was it. All he had to do now was go to Orlando. So he did just that. He held a backpack which contained the fake kidney at a normal kidney level and rode some roller coasters until he noticed that some stones indeed moved after some time. He noticed that the stones passed a lot more when he stood in the back of the car (around 63.89%). When he sat in the front, the stones still passed but not as much (around 16.67%). The doctor said that this is not only happening if you ride certain roller coasters. It should generally work on all of them. It’s the movement that makes the stones move so much. Different people have different kidneys so the stones might act in a certain way too. So, if you want to get rid of your stones before they end up being painful and hard to eliminate, you should try this. It’s fun and you might just end up aa healthier person.